What makes a smart city once 5G arrives? Each week, around a million people migrate to cities, in a trend that will continue for the next thirty years – meaning that by 2050, two-thirds of the expected global population of 9bn will live in cities. Many cities are already embracing smart city tech, with the likes of Singapore, London, Barcelona, San Francisco, and Tokyo usually populating the ‘top smart cities’ polls. 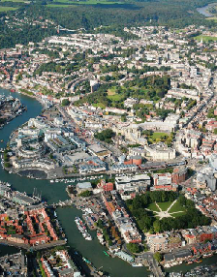 Bristol’s fiber network, which enables its SDN deployment, has allowed it to become a leading smart city in the UK—overtaking London by many measures.